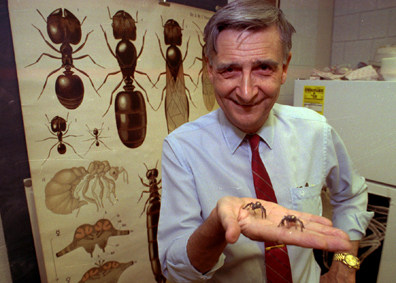 Wilson, a biologist considered to be the world’s foremost expert on ants and sociobiology, is a gifted writer who explains difficult concepts for non-expert readers. My interests have always lain mostly within the humanities–history, literature, and philosophy above all–but reading these two books has opened my eyes in a couple ways. Firstly, that biology strongly determines many of the things often considered as separate and non-overlapping fields of study–history, politics, and the arts, for example. Secondly, that the fields of science and the humanities really would be best served by combining their forces and engaging in joint dialogue and research. I will attempt to explain these in greater detail. 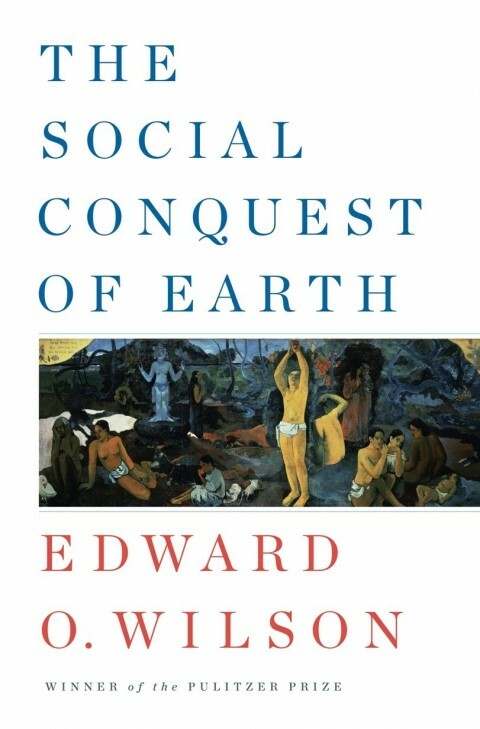 The Social Conquest of Earth is the story of how the most successful and dominant organisms in Earth’s history are the ones that developed eusociality–namely, the social insects of termites, bees, wasps, and especially ants on one hand, and human beings on the other. Eusociality is the term for the systematic cooperation between a large number of organisms in a given species for the benefit of the group over the benefit of individuals. Out of hundreds of millions of years of evolutionary history and the rise and fall of as many different species, this trait of social cooperation has only arisen 20 times as far as experts can tell (mostly species of the aforementioned insects, along with two varieties of shrimp, and two species of naked mole rats that are the only other eusocial mammals besides humans). 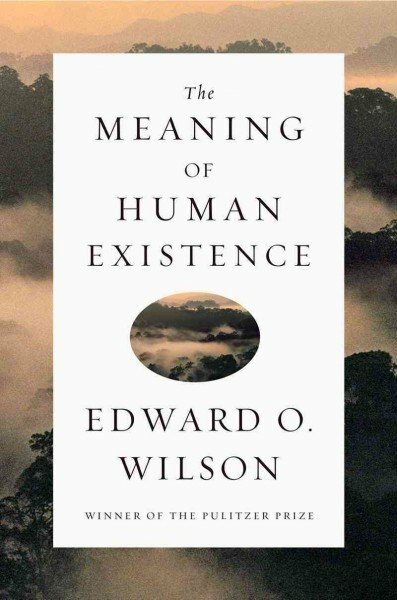 Wilson spends the rest of the book explaining why it was so rare, why human beings in particular are so unique, and how this relates to the rest of the world’s history. “The origin of eusociality has been rare in the history of life because group selection must be exceptionally powerful to relax the grip of individual selection. Only then can it modify the conservative effect of individual selection and introduce highly cooperative behavior into the physiology and behavior of the group members.” This is the key point of why social cooperation is so rare, leading to what Wilson calls the iron rule of genetic social evolution: “It is that selfish individuals beat altruistic individuals, while groups of altruists beat groups of selfish individuals.” This is true for all the relevant species, but especially for humans as we will see. A significant part of the book deals with detailed descriptions of ant (and termite and bee) colonies and how they developed socially, which is Wilson’s particular specialty (at one point he mentions nonchalantly how he discovered and named 442 new species of ant). More interesting is how he compares and contrasts these social insects with humans, and describes the evolutionary process by which humans became a uniquely transcendent species. (For another interesting take on what happens when the planet’s two most successful species go head to head, see the classic short story “Leiningen Versus the Ants”, which I remember reading in high school English class). Wilson describes the development of Homo sapiens as a maze, ultimately random, with each subsequent mutation bringing us closer to our modern form and capabilities. The first necessary adaptation was existence on the land so that fire could be harnessed (this is why highly intelligent dolphins and whales will never develop civilizations). The second necessary adaptation was large body size which allowed for bigger brains and advanced reasoning and culture (this excludes all eusocial insects). The third necessary adaption was the use of grasping hands with soft spatulate fingers that could hold and manipulate objects (this eliminates all large land animals besides the apes). The next necessary step was a dietary shift to a large amount of meat, a much more efficient source of protein that led to both larger brains and more social communities (this also excluded all other apes who are either vegetarian or, like chimpanzees, get only a small fraction of their calories from meat [additional note: I have often written of my vegetarianism and how good it is for people, animals, and the environment; I do not see any disconnect, however, between our ancestors’ adoption of meat into their diet for extra caloric and social development in a very limited world, and our current need to cut down grossly or eliminate meat consumption from our diets for the good of ourselves and life on our planet]). “About a million years ago the controlled use of fire followed, a unique homonid achievement.” This was likely because early human ancestors found cooked meat from animals burned in forest fires, and began to bring the fire with them. “Cooking became a universal human trait. With the sharing of cooked meals came a universal means of social bonding…along with fireside campsites came division of labor.” This maze seems very logical and easy to trace in hindsight, and from here it is relatively easy to trace the rest of human social development. 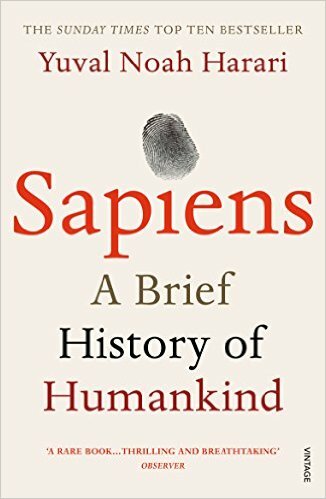 Wilson comes to some similar conclusions as another biologist Yuval Noah Harari, whose Sapiens: A Brief History of Humankind I reviewed here. For instance, he says “The origin of modern humanity was a stroke of luck–good for our species for a while, bad for most of the rest of life forever.” He spends a lot of time describing how human culture developed to favor group cooperation over individual interests, and how this has affected our history, culture, and even psychology. “An unavoidable and perpetual war exists between honor, virtue, and duty, the products of group selection, on one side, and selfishness, cowardice, and hypocrisy, the products of individual selection, on the other side.” In fact, he comments at length on the tribal instincts of our species which lead to the worst part of our nature, yet has been ingrained in our cultural development over thousands of generations of evolution. “The elementary drive to form and take deep pleasure from in-group membership easily translates at a higher level into tribalism. People are prone to ethnocentrism. 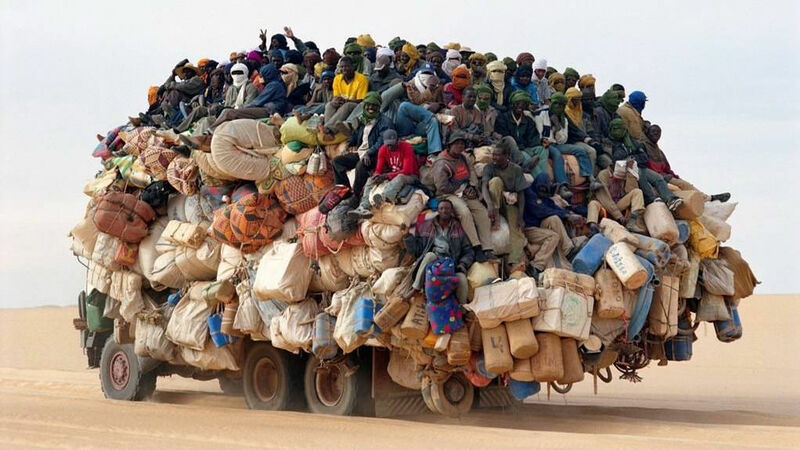 It is an uncomfortable fact that even when given a guilt-free choice, individuals prefer the company of others of the same race, nation, clan, and religion…Once a group has been split off and sufficiently dehumanized, any brutality can be justified, at any level, and at any size of the victimized group up to and including race and nation.” What a history of human war and social conflict this sociobiological fact entails. A portion of the book is spent on laying out the case for the theory of group selection versus the theory of kin selection, which had been the most popular one for four decades. The latter, discussed by Charles Darwin, formally theorized in 1964 by W.D. Hamilton, and popularized by Richard Dawkins in his 1976 The Selfish Gene, states that kinship is the dominant criteria for genetic reproduction. Wilson references a new mathematical model and a variety of examples to show why group selection is actually the more likely reality. Altruism, for example, never fit well in the kin selection model, but it is the basis for Wilson’s theory. Dawkins, a renowned polemicist, did not take lightly to the dismissal of his preferred theory, and it led to quite the biological war of words in the press (here is a summary). I am not equipped to weigh in on what is still a controversial issue in evolutionary biology, but Wilson makes his case very convincingly. Another fascinating aspect of the book that warrants mentioning is its discussion of how human cultural development differs from other animals. Somewhat surprisingly, Wilson says that we did not invent culture. 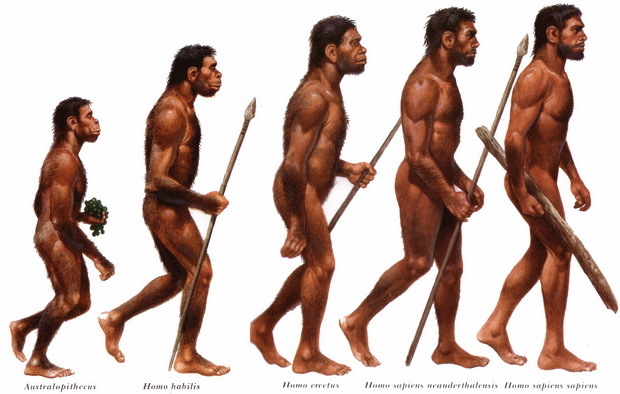 Our common ancestor with chimpanzees did millions of years ago. “Most researchers agree that the concept of culture should be applied to animals and humans alike, in order to stress its continuity from one to the other and notwithstanding the immensely greater complexity of human behavior.” Accordingly, he mentions how dolphins and whales have culture, shown by their imitative social interactions. He reminds us again, though, why such intelligent creatures did not progress as far as humans in social evolution: “Unlike primates, they have no nests or campsites. They have flippers for forelimbs. And in their watery realm, controlled fire is forever denied.” Culture is especially dependent on long-term memory, a trait which humans possess far above all other animals. Our enlarged brains have made us into storytellers and planners, able to imagine past and future scenarios, invent fictions (a point also highlighted in Harari’s book Sapiens), and delay immediate desires in favor of delayed pleasures. The Meaning of Human Existence is a slimmer volume with a more multidisciplinary approach, but no less ambitious than its predecessor as the title implies. In it, Wilson rehashes some of the same information as before, such as another extended case for group selection theory over kin selection (prompted no doubt by the controversy it stirred up two years earlier). 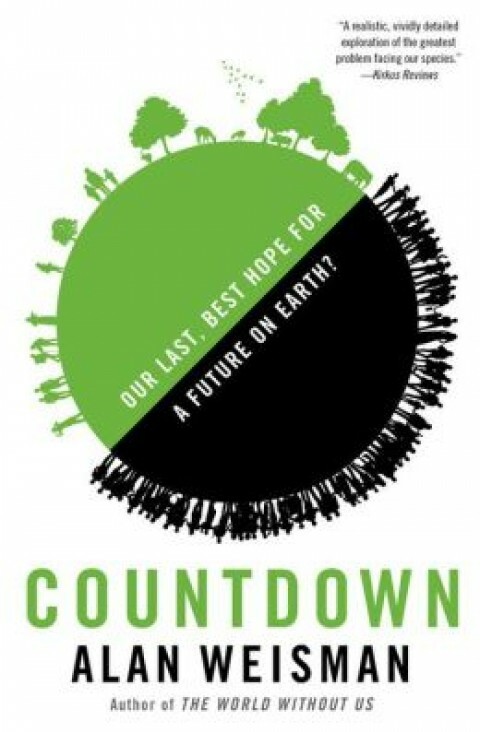 For the most part, though, Wilson attempts to give a brief but comprehensive version of human history and development, and how we can advance as a species by uniting scientific and humanistic studies, and overall being better stewards of our immense, godlike power over the planet.